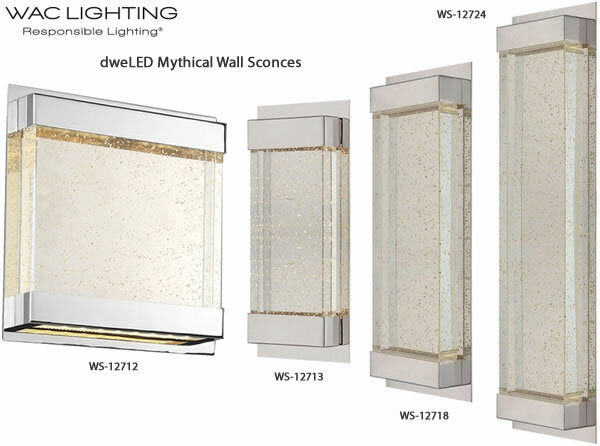 Width: 6.3" x Height: 15"
Backplate Width: 4.5" x Height: 7.5"
Width: 8.3" x Height: 19"
Width: 10.3" x Height: 24"
Backplate Width: 4.5" x Height: 11.5"
Dimmable on any Incandescent, MLV, ELV, or C-L dimmer. 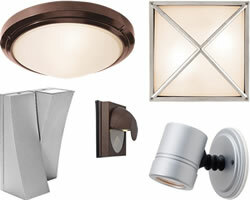 LED components carry a 5-year limited warranty. 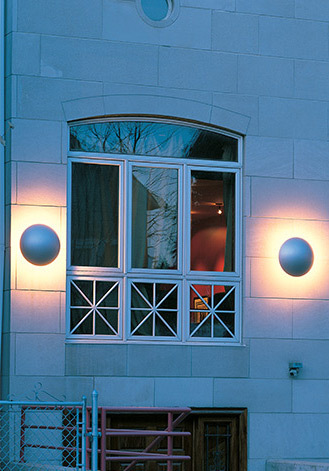 HCWO is the measurement from the top of the fixture to the center of the outlet box when installed. This fresh design takes Alto to a whole new level. 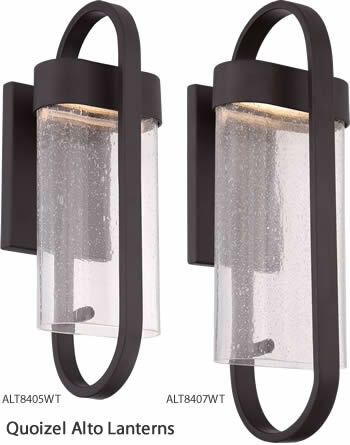 The smooth Western Bronze finish complements the signature bubbles in the clear seedy glass and the vertical racetrack loop encompassing the fixture is perfect for today s style of outdoor lighting. 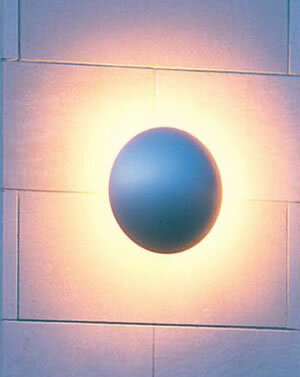 This fixture is equipped with an LED module suited for the energy saving consumer. 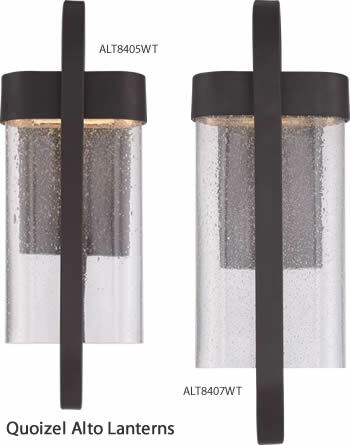 Width: 6" x Height: 14"
Backplate Width: 4.8" x Height: 6"
Width: 6.8" x Height: 20"
Dimmable: Yes, on any Incandescent, MLV, ELV, or C-L dimmer. 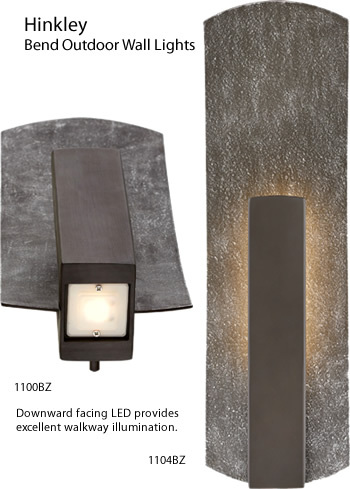 Downward facing LED provides excellent walkway illumination. 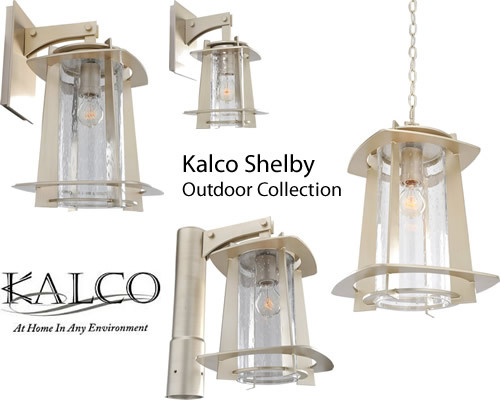 Kalco Shelby Outdoor Collection is a midcentury modern outdoor collection with Aluminum Frames, Clear Seeded Glass. Available in Tarnished Silver finish. 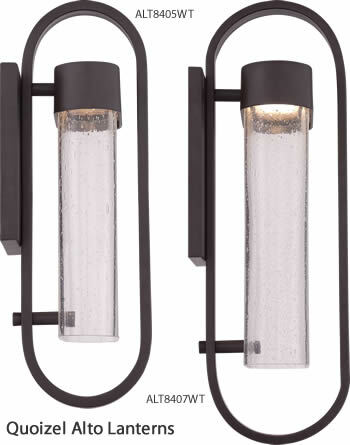 The collection includes two bracket wall lights, a hanging fixture and a post light. 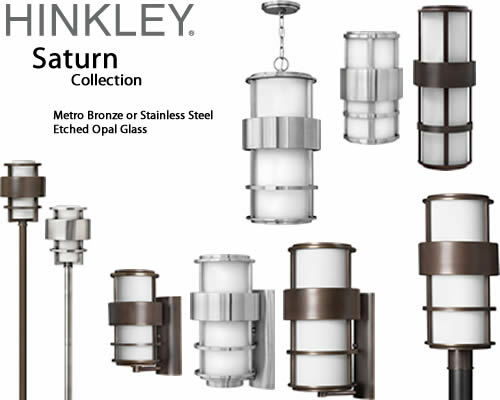 Hinkley Lighting Atlantis features a minimalist design for the ultimate in urban sophistication. 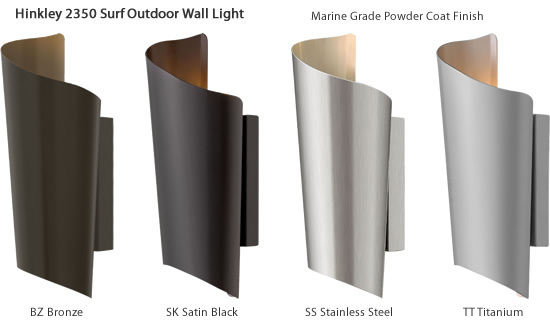 Constructed of solid aluminum and Dark Sky compliant, Atlantis provides a chic solution to eco-conscious homeowners. 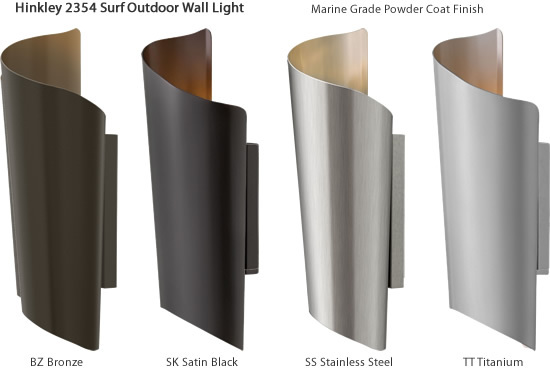 Available in Bronze, Titanium, Satin Black or Satin White. 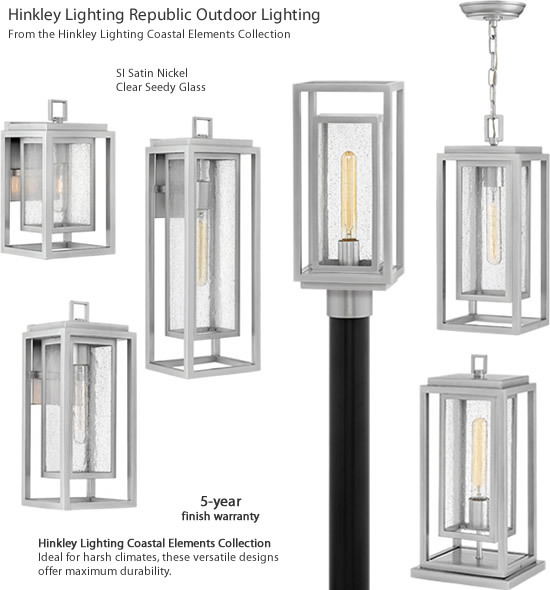 Hinkley's Saturn is a stunning, modern outdoor collection with robust construction and intersecting lines that create a striking contrast against the etched opal glass. 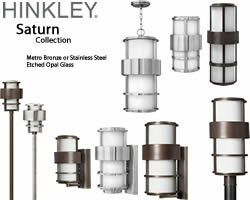 Available in Stainless Steel or Solid Brass with Metro Bronze finish. 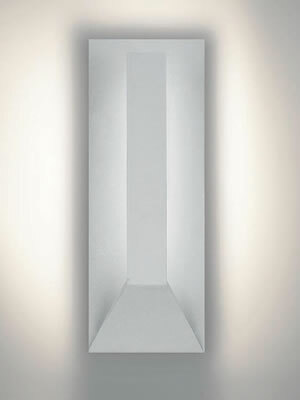 The diffuser is Etched Opal glass. 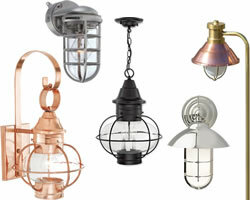 The collection includes bracket wall lights, flush wall lights, post lights, hanging fixtures and pathlights. 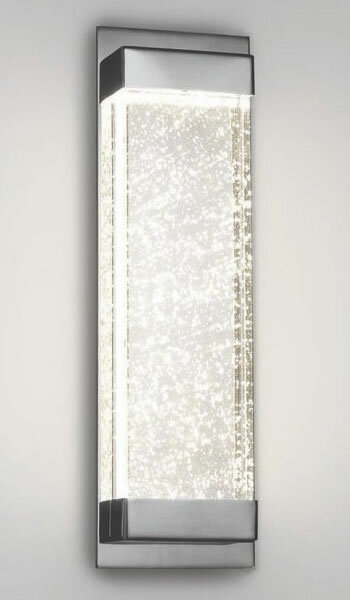 Height 11.25" x Length 4.3" x Extension 5.9"
A simple modern design that features a solid crystal block illuminated from within the frame that creates magnificent sparkles as the bubbles within catch the light. 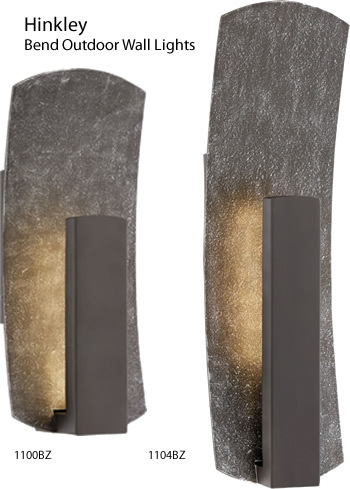 Polished Nickel fittings and concealed hardware complete this curiosity inspiring sconce. 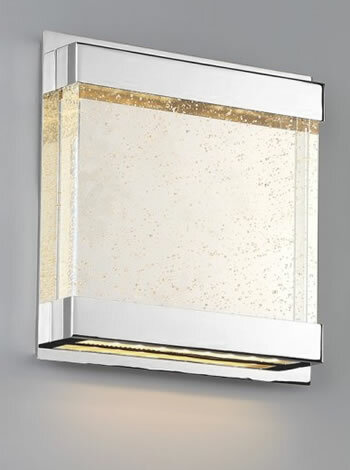 Width: 9" x Height: 9"
Backplate Width: 4.5" x Height: 6.8"
Wall washing aluminum disc. Also available in indoor version. 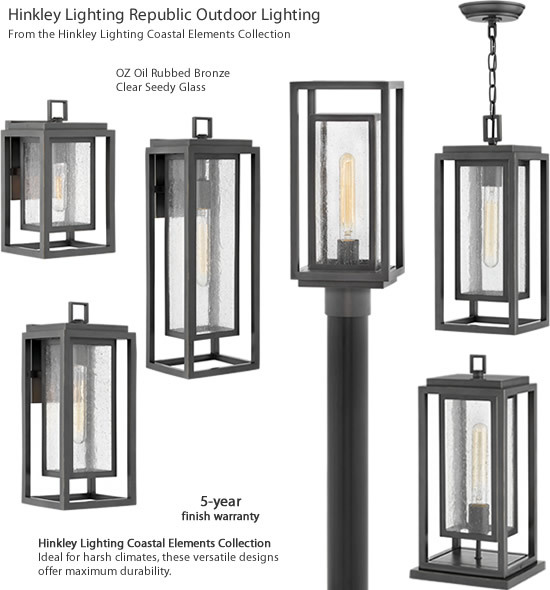 Incandescent: (3) 60 watt E26 medium base A19 lamps (not included). 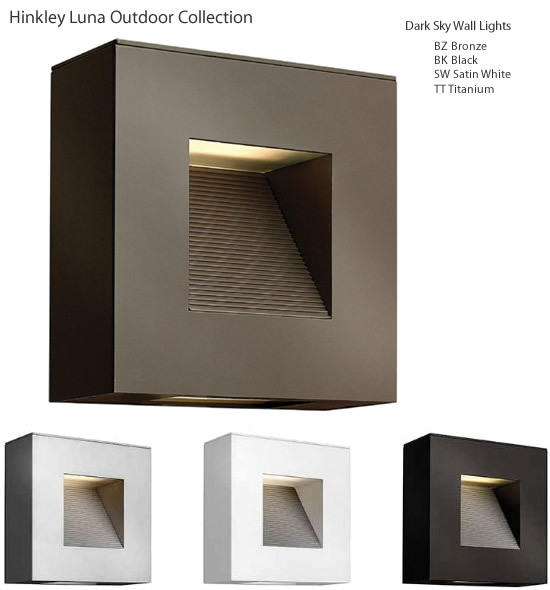 Size: W 16", H 16", wall Projection 6"